Tel Aviv, Weizmann: In a sign of the changing times that we live in, Tel Aviv’s Municipal Court is amending its laws for approving the granting of a divorce. 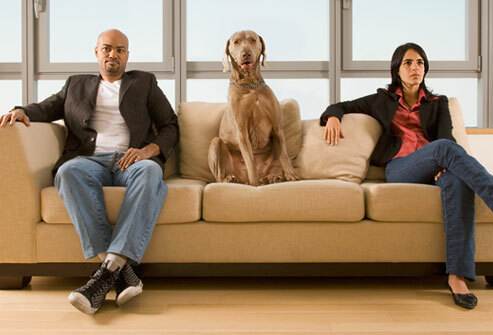 Starting January 1st, “Our Dogs Were Not Compatible” is now a legally binding grounds for divorce under the civil laws of the State of Israel for couples who have resided within Tel Aviv city limits for at least one calendar year. In order to get a sense of the human side of this ruling, the Daily Freier spoke to the unfortunate litigants of a civil divorce as they departed the courtroom. In order to prevent circumvention of the law by parties that did not meet residency requirements, the Court requires extensive documentation of Tel Aviv residency. However, the Court has a number of venues to establish proof of residency to include Arnona bills, old bracelets from Biggie Z, screenshots of a blog you started and then stopped when you made Aliyah, archived questions that you asked on Secret Tel Aviv (Asking “on behalf of a friend” is also accepted), and a sworn/notarized statement from your juice guy that he saw you around a lot. For a moment, The Daily Freier thought about writing a little about the Beit Din, but the last time we did that we got jumped by a bunch of yeshiva bochers and now we can’t go back to Tzfat any more.